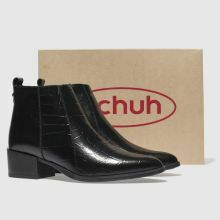 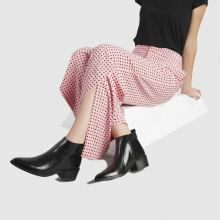 Flaunt unbeatable style in a snap wearing the heeled Lyle western boot from schuh. 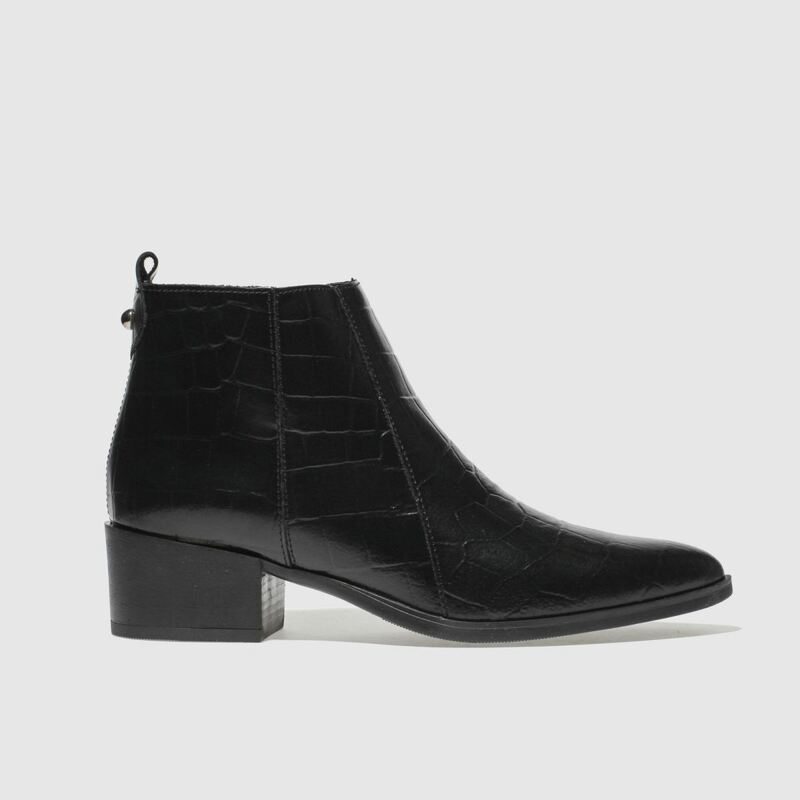 The black leather upper boasts a subtle, yet daring croc print which makes for a chic look. 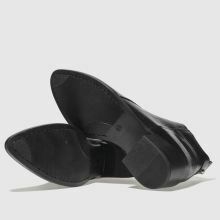 A side zip makes this style easy to pull on while a 5cm block heel finishes.